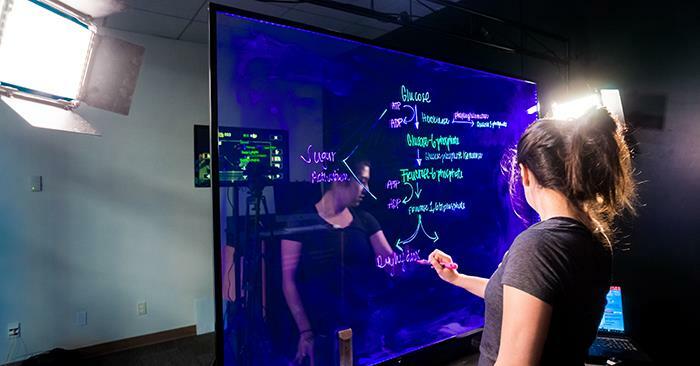 A student uses the Lightboard in the multimedia lab located in Pickler Memorial Library. The multimedia lab has been renovated and is now open for use. The multimedia lab in Pickler Memorial Library has been renovated and is now open for use. Located on the second floor, the facility includes a computer lab in room 203 and studios in room 204. It received renovations to the physical space as well as the technology it provides. “The upgrade supports our mission to offer an exemplary undergraduate education to well-prepared students,” said Susan Thomas, instructional designer. Students can use the lab as a place to collaborate on group projects, work individually or be creative through the use of technology, and faculty will have the ability to create content for courses, websites and more. Some of the many uses of the lab include: recording podcasts; scanning photos, slides or film collections into online digital archives; narrating and sharing videos; converting old VHS tapes into digital video; converting cassette tapes into an online file or onto a flash drive; scanning large documents or books; editing movie clips together; recording lectures; creating green screen videos; and videoconferencing a tutor, mentor, family member or friend. The lab can be used for personal, school or work projects. Technology offered in the lab includes 10 new iMac computers, five high-end Windows machines, a 70-inch touchscreen display, a One Button Studio, a Lightboard Studio and two videoconference rooms. Among the software found in the lab is iLife Suite for Macs, including iMovie and GarageBand, and Corel VideoStudio for Windows. Affinity Photo and Designer, GIMP, Inkscape, Audacity, Epson Scan, LibreOffice and Google Apps for Education can also be used in the lab. “It’s important for Truman to remain current with the latest technology, not just because of the cool factor, but because students entering the workforce or continuing on to discipline-specific grad schools need to have exposure to and experience with a wide variety of technology,” said Diane Richmond, director of learning technologies. The multimedia lab is open during library hours. Student multimedia assistants are available to help patrons during peak hours. The studios are currently available on a walk-in basis but may be able to be reserved through EMS in the near future. For more information about the multimedia lab, click here. Questions can be directed to the Learning Technologies Team at 660.785.7750 or at ltt@truman.edu. Jessica Carlson, Yu Xuan Lin and Clara Wolf, pictured on the far left from left to right, volunteer at a free medical clinic in Belize. The students spent a week of their winter break volunteering in an international service-learning program geared toward providing global health. After a week of providing medical service in Belize, students Clara Wolf, Jessica Carlson and Yu Xuan Lin, members of Truman’s American Medical Student Association, returned home with more than memories. They gained valuable experience as well as inspiration for their future careers in the medical field. 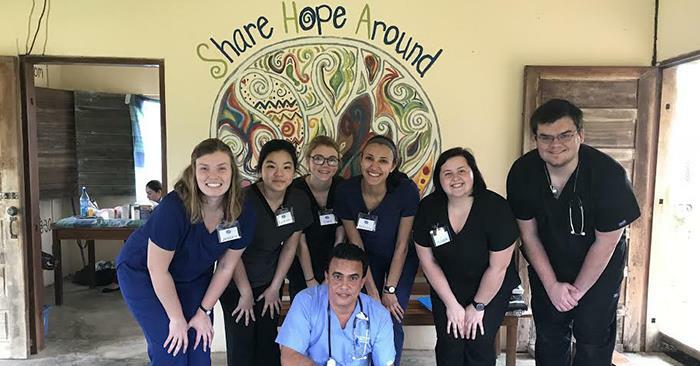 Through an international service-learning program geared toward providing global health, Wolf, Carlson and Lin traveled to Belize over winter break to aid in providing free medical clinics to communities. During home visits to community members, they were able to schedule appointments for patients at free clinics which included a physician, pharmacist and massage therapist. The student volunteers took the patient’s medical history, vitals, assisted in the pharmacy and presented the patient and possible diagnosis to the physician. For some villages in Belize, people have to travel a great distance to get to a hospital. The free clinics were able to provide health care closer to home for people who would usually have to travel to see a doctor. Through house visits, the students saw the importance of their volunteer work. In one village they visited, there was standing rain water everywhere, and most people were using this as their source of water. They saw people who struggled with health issues including vitamin deficiency and malnutrition. The American Medical Student Association is a national organization committed to physicians-in-training. As future physicians, Wolf, Carlson and Lin joined AMSA. They attended the Belize trip after hearing about a prior trip done in Jamaica. Truman students, along with President Sue Thomas, take a picture with representatives Craig Redmon (left) and Nate Walker inside the Missouri State Capitol. 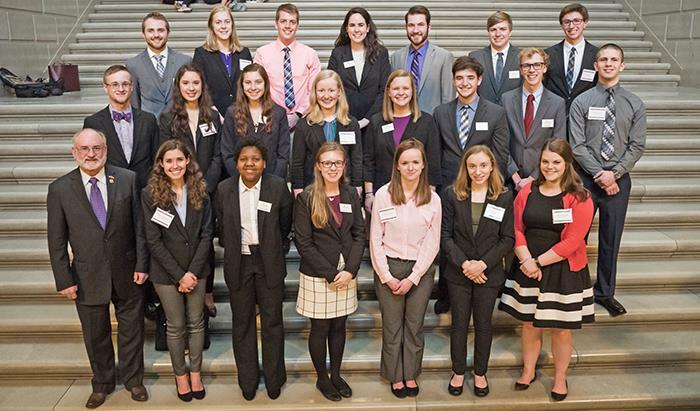 The students visited with members of the Missouri General Assembly during the annual Truman Day at the Capitol, Feb. 20, in Jefferson City. Sen. Brian Munzlinger meets with a delegation from the University at the capitol in Jefferson City, Feb. 20. 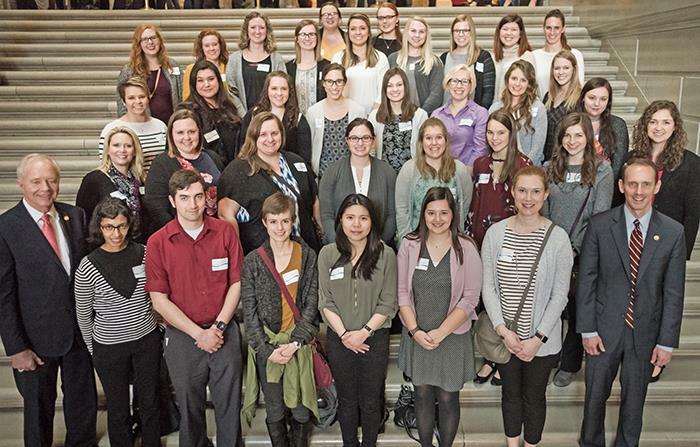 Students from Truman’s communication disorders program, along with instructor Andrea Richards, meet with legislators at the capitol in Jefferson City, Feb. 20. Pictured with the group are Sen. Mike Cunningham (left) and Sen. Scott Sifton, a Truman alumnus. The Truman Public Relations Office is now accepting applications for the fall 2018 internship position. Interns work approximately 32 hours per week and can choose to receive six to nine credit hours. To maintain full-time student status, interns take two three-credit classes in addition to the internship credit hours. A small stipend is also included. Primary responsibilities of the intern include assisting with the production of the University’s online weekly newsletter, as well as contributing to the Truman Review alumni magazine. The intern also will help with special events throughout the semester, write press releases and fulfill other office tasks. Applicants should have a strong background in writing and editing. Communication majors are encouraged to apply, with special consideration given to candidates with knowledge of Associated Press Style. Applicants must have the flexibility to work 32 hours a week. To apply, send a resume, an advising transcript, two writing samples and contact information for two on-campus references to the Public Relations Office, McClain Hall 202, no later than April 6. For questions about the internship, contact Travis Miles. 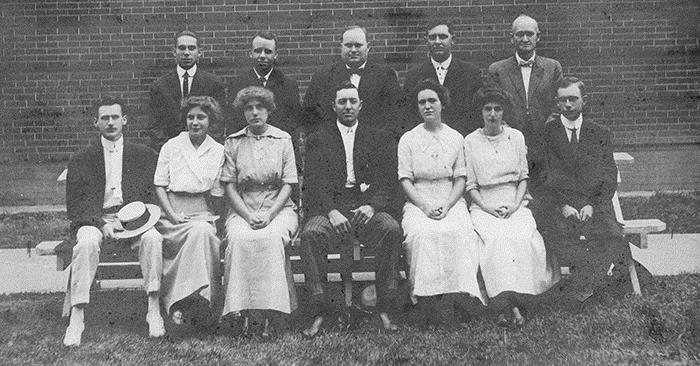 Pictured above is the 1912-13 editorial staff of the Index. Photo courtesy of Pickler Memorial Library’s special collections. For more than 100 years, some form of the Index has served as the campus newspaper of record. The paper first appeared in 1909 as the Kirksville Normal School Index. According to “Founding the Future: A History of Truman State University,” early issues of the Index covered “mostly social, cultural, and athletic events on campus and local news.” Through the 1960s and 1970s, coverage in the Index began to resemble the more news-based format of today, including national and local news, commentary, editorials and student columns. Five times the Index has received the Apple award as the best non-daily newspaper at the college level. Criteria for the award includes news judgement, quality of writing, journalistic quality, variety and diversity of news, photography, and layout and design. Published every Thursday, the Index is a key component of the Truman Media Network. 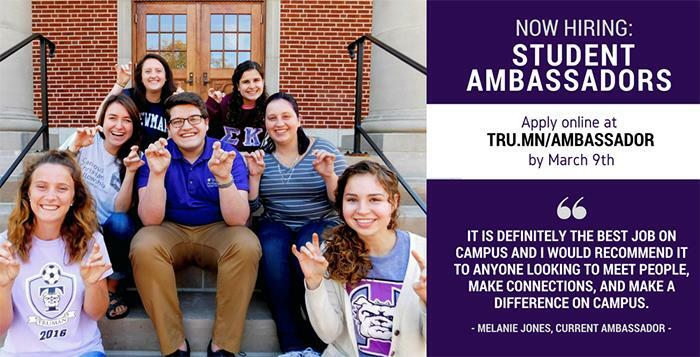 The monthlong TruCare service initiative will again take place throughout March, giving everyone with a Truman connection an opportunity to show how dedicated the University is to service. Designed as a way for alumni and friends to share in the spirit of the Big Event, TruCare allows anyone with a Truman affiliation to count service hours completed from March 1 through midnight April 1 as part of a cumulative total. Students, faculty, staff, alumni and friends of the University can participate by simply logging any service hours completed during that time on the TruCare website. Hours can be logged individually or by student organizations. Hours completed during the Big Event will also be counted. The grand total will be announced in April. In its inaugural campaign last year, TruCare saw more than 1,300 members of the Truman community contribute 4,727.5 hours of service. Projects took place in 21 cities across nine states and included working in food pantries, church nurseries, retirement communities, thrift shops, pet adoption centers and libraries, as well as fixing up a summer camp and participating in Habitat for Humanity. 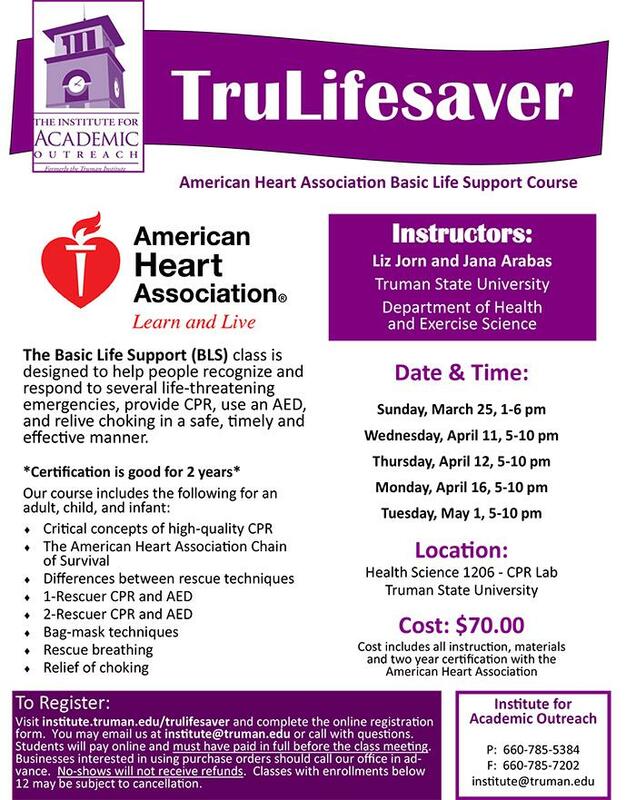 TruCare is sponsored by the Truman Alumni Association. For questions about the program, contact Jordan Smith, coordinator of alumni relations, at 600.785.4167. Skin Health Awareness Week will occur March 5-8. IRB approved research was conducted at Truman regarding the skin protection behaviors of college students. After surveying students, it was found that 25 percent of students do not use the proper SPF of 30 or higher, and 55 percent of students never see a dermatologist to get their skin checked. Skin Health Awareness Week will provide information on skin health throughout campus. For more information or to become involved with Skin Health Awareness Week, contact Courtney West at cnw1111@truman.edu. Learn how to protect skin from the sun while eating a SUNdae. Dr. Jonathan Cleaver, dermatologist, will talk about how to protect skin from harmful UV rays and the dangers of not taking these precautions. Bulldog B.I.T.E. elevator pitch entries will be due by 11:59 p.m. March 5. 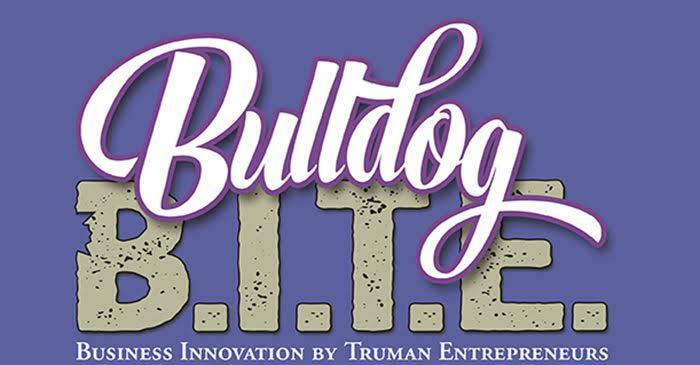 Bulldog B.I.T.E., which stands for Business Innovation by Truman Entrepreneurs, is open to any student or team of students — up to three members — enrolled during the 2018 spring semester. A student or team may submit only one pitch concept for the contest. Participants may pitch a for-profit or not-for-profit concept. Students will submit a concept or idea for a product, service or project in a video pitch no longer than 60 seconds by 11:59 p.m. March 5. The video should not include any props, except the product prototype, and should be one continuous shot. Students must also include an executive summary of their product. The executive summary must contain: name of the individual or team members; problem or issue being addressed by the concept; product description; target market; competitive advantage of the concept; value creation; and expected future use of prize money. Judges will select six teams to attend the live pitch competition from 4-6 p.m. April 13 on campus to present their product to a panel. The top three finalists will receive cash awards: the cash prize for first place is $3,000; second place is $2,000; and third place is $1,000. Pitch participants, judges, alumni and audience members are then invited to a networking reception following the competition. The Bulldog B.I.T.E. is sponsored by Villhard Growth Partners and is coordinated on campus by the Office of Advancement and the Career Center. 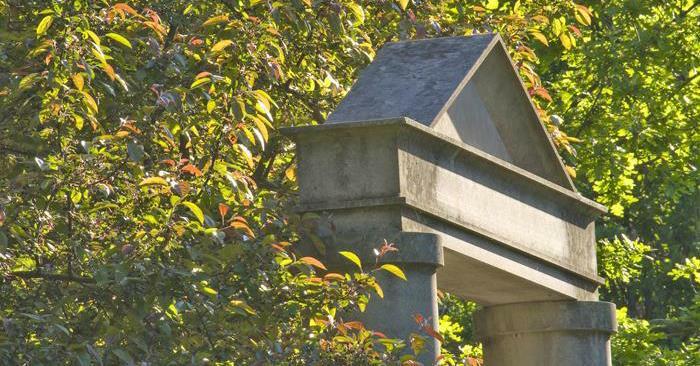 The William O’Donnell Lee Advising Award pays tribute to excellent faculty advisors and demonstrates how important academic advising is at Truman. The award recognizes outstanding advising/mentoring by a full-time faculty member, and nominations are submitted by students. In addition to campus-wide recognition at the Strategic Planning and Assessment Workshop in August, the awardee receives a $1,000 grant to be used for the enhancement of student advising. To make a nomination for the William O’Donnell Lee Advising Award, students should send a short description of how their faculty advisor has assisted in their education, for example: helping secure an internship; providing guidance in developing future career plans; offering support at a stressful time; supervising research; or celebrating student accomplishments. Nominations can be emailed to ganthes@truman.edu. The deadline is 11:59 p.m. April 7. 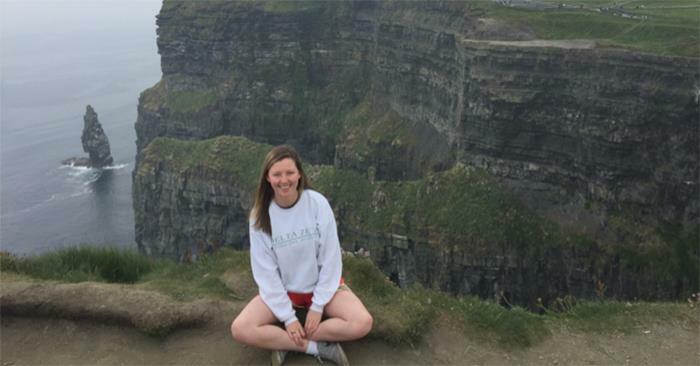 Senior Amber Smith is the Center for International Education Abroad student of the month for March. 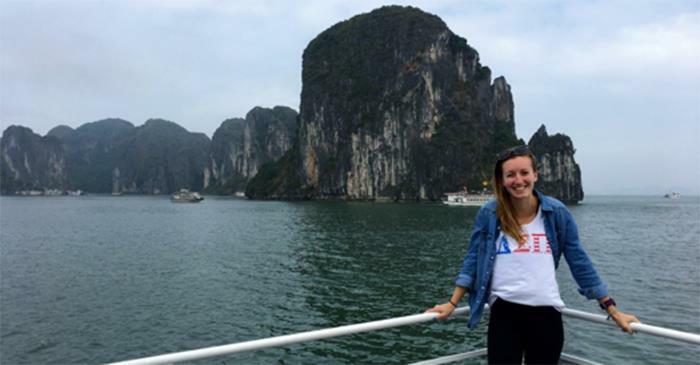 Smith is a business administration major and is currently studying abroad at Thammasat University in Bangkok, Thailand, through an ISEP program. The classes she attends average 50 students and involve frequent group projects. Having no previous experience with the language, Smith has learned basic phrases that have allowed her to work around the language barrier, even signing a lease and purchasing a phone plan. She enjoys being abroad because she gets to experience a country different from the United States. To learn about how to apply to programs like Smith’s, click here. Applications are open for student ambassadors for the 2018-19 academic year. Student ambassadors guide visiting students and their families on campus tours, assist in the recruitment of prospective students and represent the University. Scholarship, work-study and volunteer opportunities are available. Institutional positions are available but limited. Applications can be found online and are due by 5 p.m. March 9. Questions should be directed to Shari Fieser, student ambassador adviser. 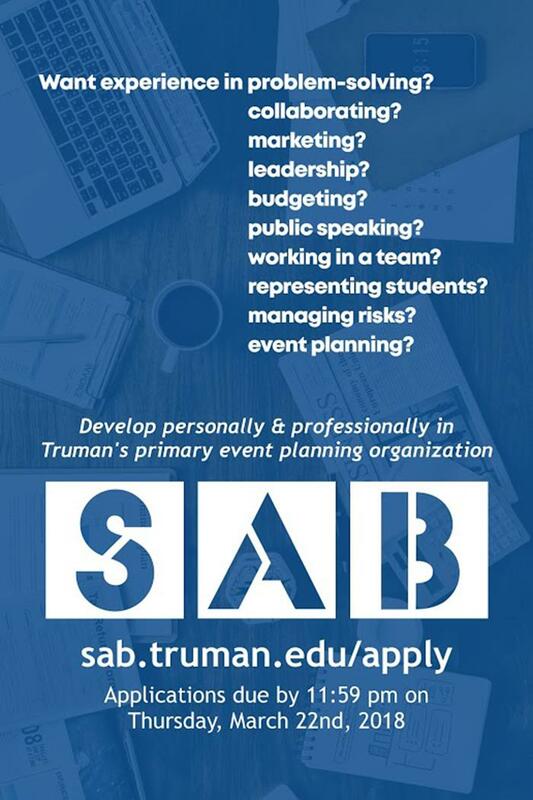 The Student Activities Board is accepting new member applications. Members of SAB will help to plan and execute major campus events throughout the academic year, including concerts, comedians, speakers, films and interactive productions. Applications are due at 11:59 p.m. March 22. To apply, click here. Those not interested in joining SAB can participate in the applicant review process by signing up here. Applications for the applicant review process are due at 11:59 p.m. March 20. Following the forums, a meet-and-greet reception with the candidate will occur in Violette Hall 2351. For the curriculum vitae of the candidates, click here. 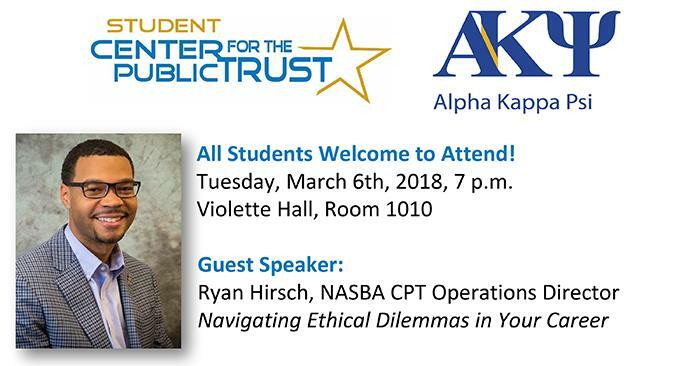 Student Center for the Public Trust and Alpha Kappa Psi are co-hosting guest speaker Ryan Hirsch, NASBA’s Center for the Public Trust operations director at 7 p.m. on March 6 in Violette Hall 1010. He will discuss ethical dilemmas and ethical leadership in business. 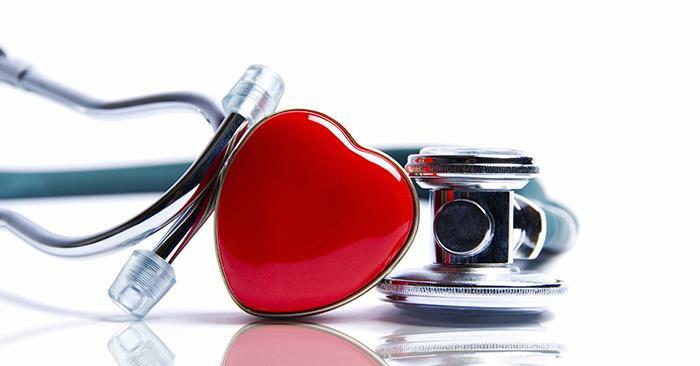 James Bailey, assistant professor of economics at Providence College, Rhode Island, will present “Why is Health Care So Expensive?” at 7 p.m. March 6 in Baldwin Hall Little Theatre. The topics discussed will include: why some drugs have become hundreds of times more expensive; why the United States spends more money on healthcare than any other country; and why it is harder to open a hospital in Illinois and Missouri than in Kansas. Bailey earned his Ph.D. from Temple University and specializes in health care economics, health insurance, labor economics, entrepreneurship and regulation. The event is sponsored by the Department of Economics and is free and open to the public. Truman, in partnership with Instituto Venezia, offers a unique opportunity for students to study abroad in Venice, Italy. The charm of Venice is apparent when walking or taking a gondola ride through the complex network of streams, canals, streets and squares. With impressive architecture, restaurants, museums and a plethora of social activities that come with the city life, there is always something to do. Specializing in Italian language instruction, the Istituto Venezia presents students with the opportunity for personalized study of the Italian language. No previous knowledge of Italian is required for this 12-credit-hour program. Italian is offered at the beginning, intermediate and advanced levels, and a professor is assigned to work with the student. This gives concentrated attention and the exclusive guidance of a single professor for each course, allowing assignments to often be tailored to the student’s special interests. 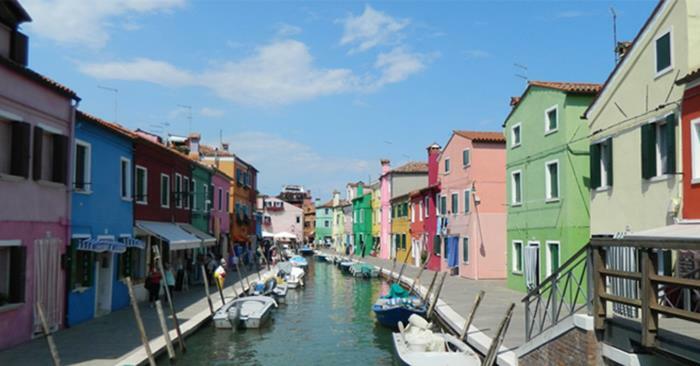 Istituto Venezia offers a second, 14-credit-hour program, Venetian Civilization and Culture. This program aims to introduce and explore Venetian art and architecture through language courses and experiences. Classes are often in the form of field trips and will visit some sites of secular historical importance such as, the Basilica of Saint Mark’s, the Ducal Palace and the Arsenale. For more information about Istituto Venezia, click here. To apply, fill out a Truman online application, send a statement of purpose, official transcripts, a copy of passport and two letters of recommendation to the study abroad office in Baldwin Hall 106. For more information about studying abroad, contact the Center for International Education/Study Abroad, Baldwin Hall 106, 660.785.4076, ciea@truman.edu. Truman, in partnership with the University of Limerick, now offers a unique summer study abroad option in Limerick, Ireland. The University of Limerick’s stunning riverside campus offers outstanding recreational, cultural and sporting facilities only three miles away from the historic city of Limerick. Situated in mid-west Ireland, this small and friendly city is perfectly positioned to access all parts of Ireland, making trips and excursions easily accessible. Enjoy unique excursions to Limerick City and Bunratty Folk Park, Dublin City, the Cliffs of Moher, as well as the many social events Limerick has to offer. During this three-week summer program, students can choose to study subjects including Irish studies, business, healthcare, physical education and sports science, and theatre. The program is competitively priced $4,586. This price includes tuition, room and board, and three excursions. The program dates are May 23 through June 13, and applications are due May 1. For more information about the University of Limerick, click here. For more information about studying abroad, contact the Center for International Education/Study Abroad, Baldwin Hall 106, 660.785.4076, ciea@truman.edu. The College Republicans will sponsor a presentation by conservative author, filmmaker and speaker Dinesh D’Souza at 7 p.m. March 6 in the Student Union Building Activities Room. In his presentation, “The Big Lie,” D’Souza will tackle and debunk the myth that republicans and conservatives are linked to fascism. It will be followed by a question and answer session with members of the audience. For more information on this event, contact the College Republicans at collegerepublicans@truman.edu. 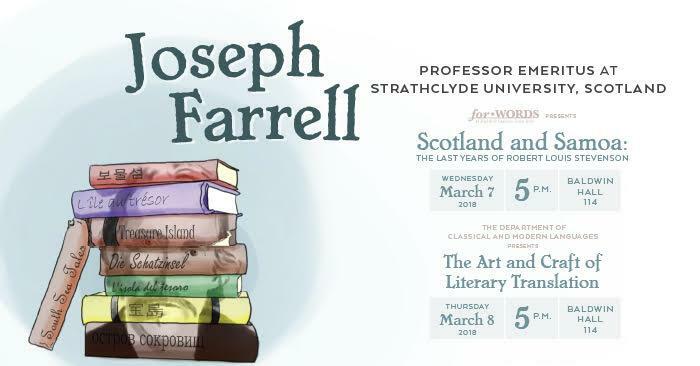 Internationally renowned translator and author Joseph Farrell, professor emeritus at the University of Strathclyde in Scotland, will present “Scotland and Samoa: The Last Years of Robert Louis Stevenson” at 5 p.m. on March 7 and “The Art and Craft of Literary Translation” at 5 p.m. March 8 in Baldwin Hall 114. The presentations are sponsored by the Department of Classical and Modern Languages, in partnership with the Department of English and Linguistics, and are free and open to the public. Farrell served as professor of Italian and head of the Department of Modern Languages at the University of Strathclyde until retiring in 2010. Since retiring, Farrell has served as visiting professor at Flinders University in Austria, University of Melbourne in Australia, University of Warsaw in Poland, University of Edge Hill in Liverpool and the University of Venice in Italy. He has authored numerous books and articles. His most recent books include “Robert Louis Stevenson in Samoa,” published by MacLehose in 2017, and an updated and revised version of “Dario Fo e Franca Rame,” republished in 2018 by Methuen. In 1999, Farrell was awarded the John Florio prize for his translation of Daniele Del Giudice’s novel, “Staccando l’ombra da terra,” published as “Take-off.” This bi-annual award, managed by the Society of Authors and sponsored by the Times Literary Supplement, is given for the best translation from Italian to English of a literary work. In November 2005, he received the honor of Cavaliere of the Republic of Italy for services in assisting the promotion of Italian culture abroad. Aside from teaching and publishing original and translated works, Farrell served as theatre critic for the Scotsman newspaper and has worked for BBC radio arts and political programmes. Since the early 1980s, he provides a regular review article for the Scottish Review of Books on theatre productions in Scotland. 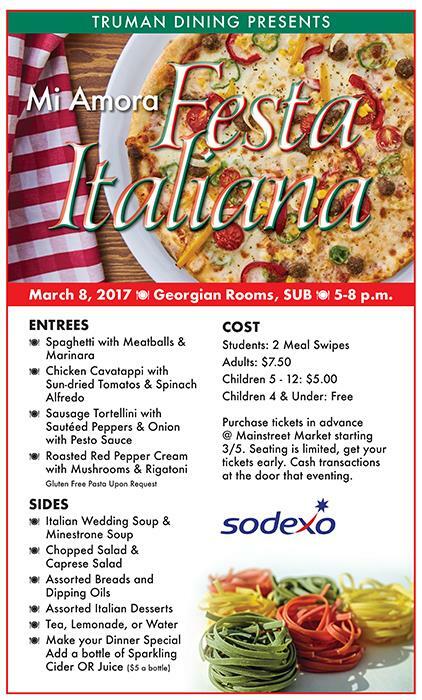 Sodexo will offer Festa Italiana Night from 5-8 p.m. March 8 in the Student Union Building Georgian Rooms. The dinner will feature the following entrees: spaghetti and meatballs; chicken cavatoppi with sun-dried tomatoes and spinach alfredo; sausage tortellini with sautéed peppers and onion with pesto sauce; and roasted red pepper cream with mushrooms and rigatoni. Gluten free pasta is available upon request. The cost of the meal is two meal swipes for students, $7.50 for adults, $5 for children ages 5-12 and free for children under 4. The men’s basketball team earned an at-large bid to the NCAA Division II basketball tournament. The Bulldogs are the No. 7 seed in the Midwest Region and will take on No. 2 seed Bellarmine in the first round. Game time is set for 1:30 p.m. March 10 at Jim Wink Arena in Big Rapids, Mich. The game will be broadcast on KRES Radio 104.7. For more information visit ncaa.com. The University Counseling Services professional staff will provide RESPOND training for faculty and staff from 12:30 p.m.-4:30 p.m. March 13 and March 14. This free, eight-hour training will teach participants how to offer effective support to a student or colleague. The course provides a basic overview of symptoms often associated with mental health problems and offers an action plan to help RESPOND effectively. The training also includes information on how to intervene when someone is experiencing a suicide crisis. To sign up, click here. For more information, contact Joe Hamilton at hamilton@truman.edu. 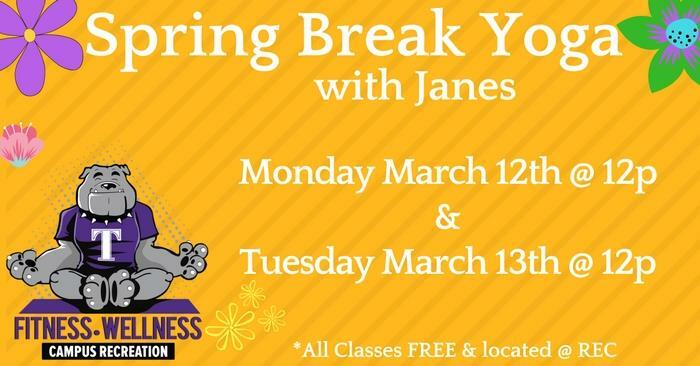 The spring break hours for the Student Recreation Center are as follows. March 9 • 6:30 a.m.-7 p.m.
March 12-16 • 11 a.m.-2 p.m.
March 18 • 4 p.m.-7 p.m. 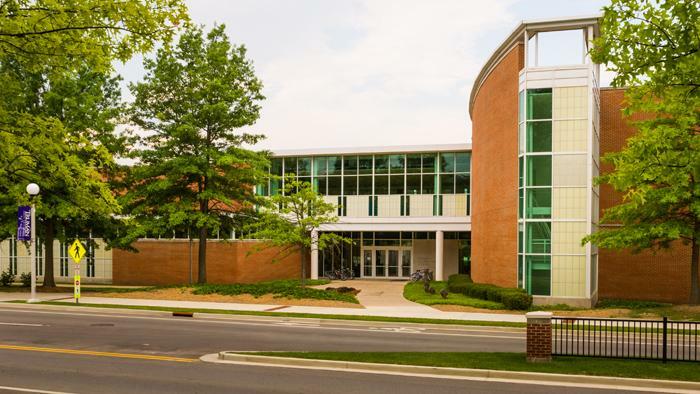 Specific areas of the Student Recreation Center may be closed without advance notice for cleaning or repair projects. March 9 • 7:30 a.m.-10 p.m.
March 12-16 • 7:30 a.m.-10 p.m.
March 18 • 7:30 a.m.-10 p.m.
March 19 • 7:30 a.m.-10 p.m. In case of an emergency, call 911. To have an officer dispatched to contact you (non-emergency), call 660.665.5621. 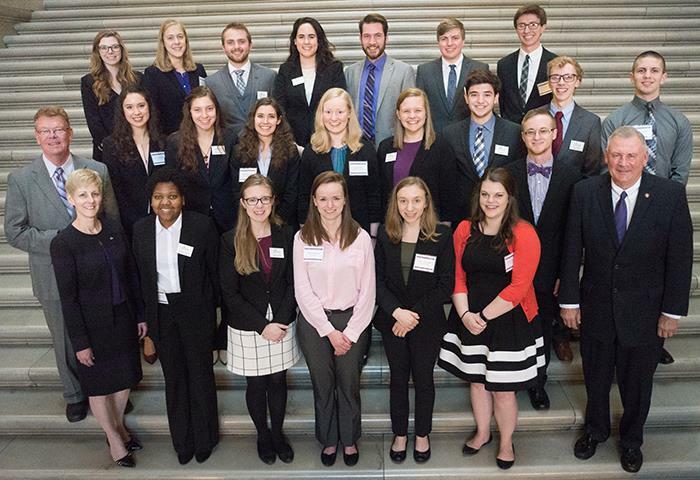 The application period for Truman’s annual Lincoln Contests is now open. The contests include art, essay and oratory competitions. Each competition will include a first-place prize of $200 and a second-place prize of $100. • Choose another emancipatory moment in Lincoln’s life and write about it, incorporating source material. • Choose an emancipatory moment in someone’s life and, incorporating source material, write about it. Essays should be between 1,000 and 1,500 words, three to five pages, and can be submitted until March 20 to Barry Poyner in Barnett Hall 1110. A list of works cited should be used as appropriate, and the submission should include a cover sheet with contact information and the name of the competition being entered, essay, oratorical or both. Finalists in the oratorical contest will deliver their speeches before the National Communication Association Student Club later in the semester. Communication club members will assist this year’s judges, Chandrika Collins and Poyner, in judging. For the art contest, entries can be submitted until March 20 to Rusty Nelson in Ophelia Parrish Hall 1221. Entries should follow the following criteria: artwork of any media is acceptable, traditional or digital output/projection – 2-D and 3-D; no larger than 18” x 24” for 2-D work and three feet in the round for 3-D work; projected work should be formatted for 16:9 screen ratio. Winning art will be added to the Schwengel Lincoln Collection in Special Collections at Pickler Memorial Library. The Lincoln Contests in art, essay and oratory were established by Fred and Ethel Schwengel to pay tribute to Abraham Lincoln. 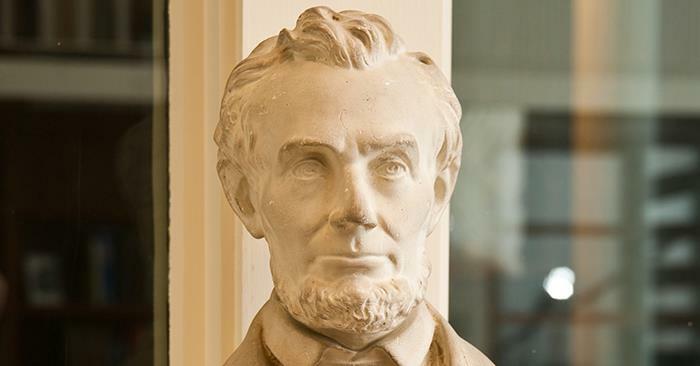 Each year, the Advancement Office funds a $1,000 Lincoln-Douglas Debate Scholarship for an incoming freshman on Truman’s forensic team to be selected by Christopher Outzen, director of forensics, and Craig Hennigan, assistant director. This competition takes place among high school students and fulfills the Schwengel’s desire to see a contest on the high school level. Fred Schwengel was raised in Franklin County, Iowa, and attended Sheffield High School. He was a 1930 alumnus of Northeast Missouri State Teachers college where he met his future wife, Ethel Cassity, a 1932 alumna and native of Purdin, Mo. The Schwengels returned to Fred’s native Iowa in 1937 where Fred was in the insurance business, and they raised two children, Frank and Dorothy. His interest in politics led him to the Iowa House of Representatives in 1945 where he served 10 consecutive terms before turning to the U.S. Congress where he served as a representative for eight terms. Mr. Schwengel passed away in 1993, and Mrs. Schwengel passed away in 2011 at age 102. 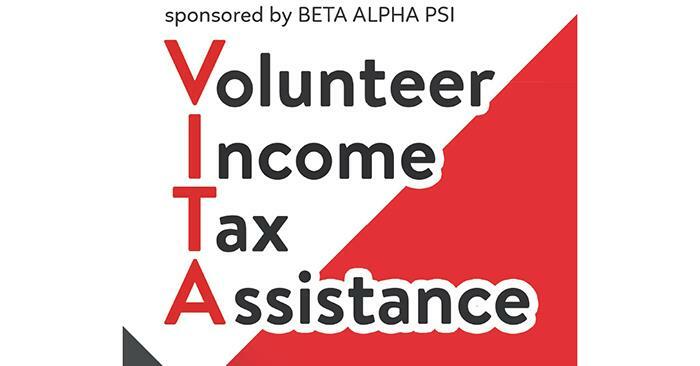 Truman’s chapter of Beta Alpha Psi will conduct its final Volunteer Income Tax Assistance (VITA) session from 8 a.m.-3 p.m. March 24 in Violette Hall. The VITA program provides free income tax assistance to students and the community. All volunteers are IRS certified, and most returns qualify for electronic filing for a faster return. Truman students and employees and Sodexo employees will be accepted on a walk-in basis. All other community members are required to have an appointment, which can be scheduled by phone at 660.785.6064. For more information, visit bap.truman.edu/vita. Activist, storyteller and filmmaker Kevin Hines will share his story at 7 p.m. March 27 in Baldwin Hall Auditorium. 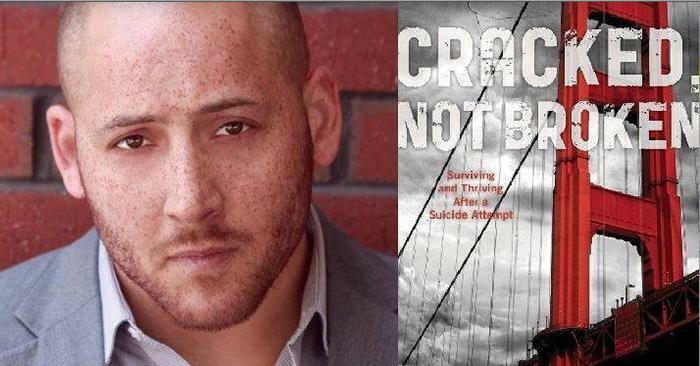 Hines, one of the few survivors of a suicide attempt from the Golden Gate Bridge, released his memoir titled “Cracked not Broken, Surviving and Thriving after a Suicide Attempt.” He is currently producing a documentary titled “Suicide: The Ripple Effect,” and his story was featured in the 2006 film “The Bridge” by film director and producer Eric Steel. The presentation is being funded as part of A.T. Still University-Kirksville College of Osteopathic Medicine’s 125-year anniversary community-based project focused on mental health awareness. The presentation is free, and the public is encouraged to attend. As an advocate for mental health issues and suicide prevention, Hines’ will to live and stay mentally well has inspired people worldwide. He has spoken to diverse global audiences representing education, health professions, corporations, clergy, military, law enforcement and various other industries. Hines is an active board member for the International Bipolar Foundation, Bridge Rail Foundation and Mental Health Association of San Francisco, and he serves on the Survivors Committee of the National Suicide Prevention Lifeline. He is a past board member of the Northern California Chapter of the American Foundation for Suicide Prevention and a two-term member of San Francisco’s Mental Health Board. Hines has spoken in congressional hearings alongside Patrick Kennedy in support of the Mental Health Parity Bill, and he continues his policy work as an ambassador to the National Council for Behavioral Health. In 2016, Hines was awarded Mental Health America’s highest honor, the Clifford W. Beers Award, for his efforts to improve the lives of and attitudes toward people with mental illnesses. Other recognitions have included: a Lifetime Achievement Award from the National Council of Behavioral Health in partnership with Eli Lilly; award recipient of the Substance Abuse and Mental Health Services Administration Voice Awards Fellowship Program; an Achievement Winner by U.S. Veterans Affairs; and more than 30 U.S. military excellence medals as a civilian. For additional information about Hines, visit kevinhinesstory.com, and for questions pertaining to his March 27 public speaking engagement, contact communications@atsu.edu or 660.626.2272. For additional information on ATSU-KCOM’s community-based mental health awareness project and collaboration with Truman State University, Kirksville R-III School District and other community partners, visit iconnect.atsu.edu/for-the-love-of-community. In coordination with Hines’ presentation, Truman organizations will be hosting a Mental Wellness Week. Students (from left) Jonie Welland, Celine Fuch, Ellen Morgan and Michael Wohldmann took the test in December. They are pictured with Audrey Viguier, assistant professor of French. Since May 2017, the Classical and Modern Languages Department has been offering students the opportunity to earn professional certificates with the Paris Chamber of Commerce. The certification is aimed at students or professionals wishing to certify their language skills with a diploma. Students can take the test in seven different fields (business, tourism, international relations, law, health, fashion, and science and technics) and at various levels. These certificates bring students an added value to their professional career and multiply their chances in today’s job market. Truman offers the opportunity to take this test once a semester. So far, all 11 students that have participated have passed the test and earned certificates in business, tourism, and science and technics. The next testing session will take place April 28. The deadline for registration is April 13. For more information on the program click here or email Audrey Viguier, assistant professor of French. Men’s basketball team members Zach Fischer, Brodric Thomas and Jake Velky earned first-team recognition by the Great Lakes Valley Conference. The GLVC has given first-team recognition to three players from the same school only twice in its 40-year history, and this is the first time since the GLVC switched from an 11-player team to a 10-player team in the 2011-12 season. 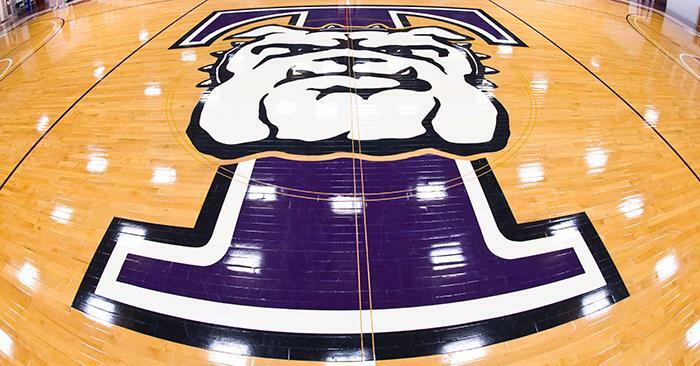 Fischer, a senior, also received recognition as the first Bulldog to be named Great Lakes Valley Conference Player of the Week three times in the same season. He joins Mike Carlson and Cory Parker as the only players in school history to be named conference player of the week three times, but he is the only Bulldog who has done it all in one season. Women’s basketball player Katie Jaseckas was voted the Great Lakes Valley Conference Freshman of the Year. She was also named a second-team All-GLVC performer and a member of the All-Freshman team. She is the first Truman recipient of the GLVC Freshman of the Year award and joined Felicia Sutton (1987-88) and Rhonda Soper (1988-89) as the only Bulldogs named as league’s top freshmen. Jaseckas is joined by team members Rachel Edmundson and Sloane Totta who garnered third-team all-league honors. Teammate Ashley Hartwig is the team’s honoree for the James R. Spaulding Sportsmanship Award. This is the second straight year for the honor for the Bulldog senior. Daniel Mandell, professor of history, presented “The American Great Jubilee,” part of his work in progress “The Lost Tradition of Economic Equality in America,” at the conference on Religion and Politics in Early America. The conference was sponsored by the John Danforth Center on Religion and Politics, Washington University, and brought together leading scholars from all over North America. 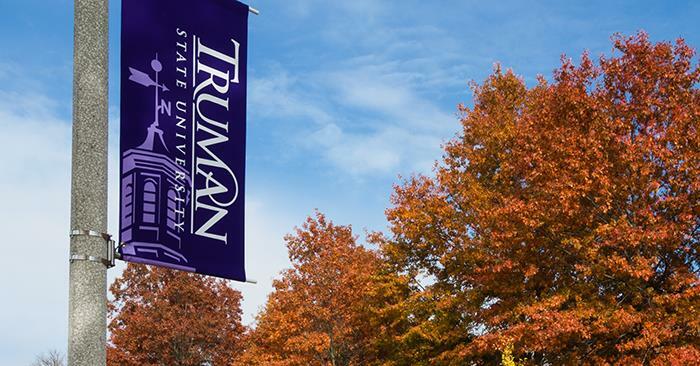 The Truman State University Foundation has applications for 2018-19 Foundation scholarships available now. 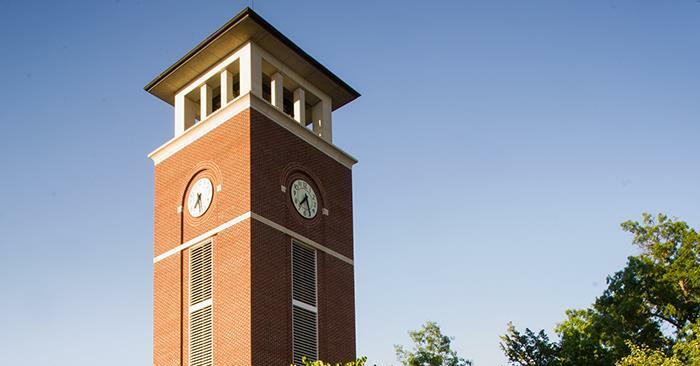 These are scholarships established by generous alumni and friends of the University. Scholarships are for current students. Recipients much be enrolled full time during the term of the scholarship to receive the full amount of the scholarship. Click here to apply in TruView. Applications can be revised any time prior to the March 12 deadline. The Gilman Scholarship Program, sponsored by the U.S. Department of State’s Bureau of Educational and Cultural Affairs, is an undergraduate grant program for U.S. citizens of limited financial means to enable them to study abroad, thereby internationalizing their outlook and better preparing them to thrive in the global economy. The program provides awards of up to $5,000 for U.S. citizens undergraduate students at two- and four-year institutions who are receiving a Pell Grant to study or intern abroad. The deadline for the summer and fall 2018 application is March 6. For more information, visit gilmanscholarship.org or click here. For tips on writing a competitive scholarship essay, click here. The Freeman-ASIA Awards are scholarships for undergraduate students looking to study in East and Southeast Asia in summer or fall 2018. These scholarships offer up to $7,000 for U.S.-based students who have demonstrated financial need and who plan to study abroad in one of 15 countries. The amount rewarded will assist the recipient with the cost of the study abroad program and related expenses, including airfare, basic living costs, local transportation, books, etc. For more information on eligibility criteria, or how to apply, visit the Freeman-AASIA Awards website. The deadline for the summer program is March 14. For the fall academic year, the deadline is April 11. 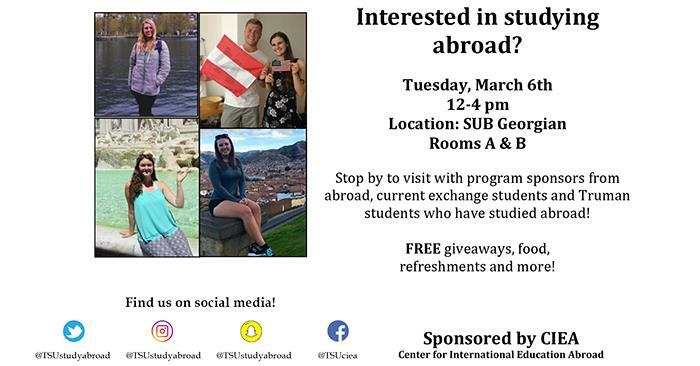 To learn more about study abroad at Truman, contact the Center for International Education in Baldwin Hall 106 at 660.785.4076 or ciea@truman.edu.